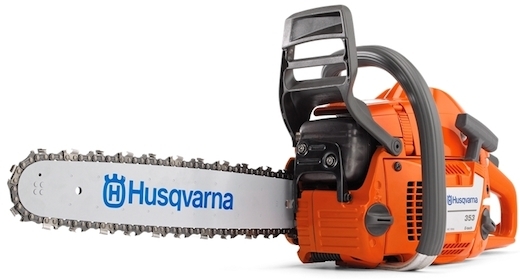 Husqvarna 353 E-TECH® is professional saw with high capacity across a wide rpm range. E-TECH® engines reduces exhaust emissions. Its high-power, low weight, slim body and high centre of gravity make it both powerful and easy to use. The wide power band makes this saw exceptionally versatile. Smart Start® and fuel pump for easy starting. Magnesium crankcase Sturdily built crankcase withstands high rpms and tough professional use, ensuring a long service life. Ergonomic grip Angled front handle for better grip and natural working position.